For my family, science and reading are a top priority. This is mainly because my husband and I both met while working in the zoo field. (Enough with the jokes.) Anyway, after 12 years of working at a zoo in Texas, I left my job with the birth of my first child. We have since moved, but my husband now works at the world’s largest waterfowl park in North Carolina. So needless to say, my kids get a LOT of science lessons – whether they realize it or not. We also have an incredible home library with rows upon rows of books about animals, nature, biology, conservation, and field guides. Need a field guide on the bats of Papua New Guinea? Got it. Or how about one on the birds of Venezuela? 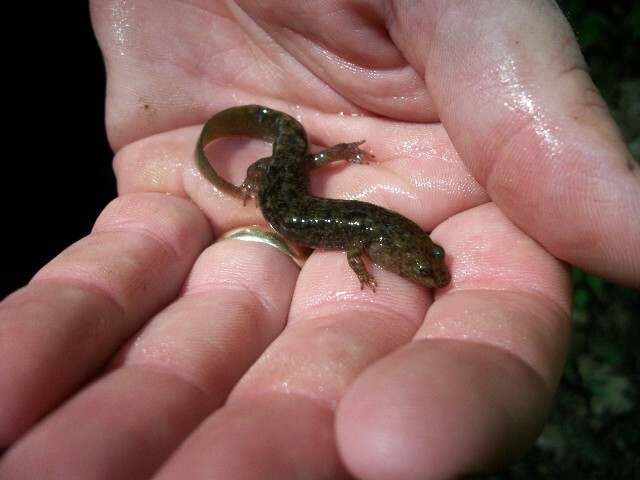 A guide to the reptiles and amphibians of the Smokies? Or maybe the birds of the Great Smoky Mountains National Park? Sí. Sí. And yes. These last two came in handy this summer when we went camping in the Smokies. It was a quick trip – only two nights – but that was good enough to get the kids really excited. 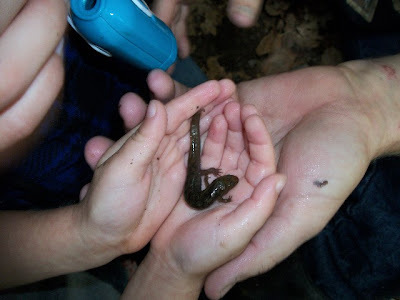 Going on nature hikes proved to be the most exciting part of the trip for all of us, as the kids had gotten it into their heads that they wanted to search for salamanders. And amazingly, we did find them. Híjole did we find them! Our family actually tries to go camping every summer. Most of the time we camp in a State or National Park. If you’ve never experienced this before, you would not believe how much fun it is! There is so much to see and do and learn. Every kid should – in my humble opinion – have this opportunity to explore and discover. This is the best way to really bring science to life and make learning about our natural world FUN. But our national treasures do need to be taken care of and supported. Especially in recent years, since economic depression and environmental problems like pollution and climate change have begun to take their toll. So my kids and I have embarked on a new project that not only teaches them about recycling, social responsibility and community action, it also directly benefits our National Park system. We are joining Nature Valley® and Patricia Shultz (author of 1,000 Places to See Before You Die) in their quest to help the National Parks Project with its restorative work at the Grand Canyon, Yellowstone and Biscayne National Parks. Disclosure: The Nature Valley products received, information, and giveaway were all provided by Nature Valley through MyBlogSpark, but the opinions expressed above are completamente my own. Glacier national park is on my wish list. I hear the scenery is spectacular. I would love to go with my family to the Rocky Mountain National Park in Colorado. i heard that this park is a living showcase of the grandeur of the Rocky Mountains.The park is split by the Continental Divide, which gives the eastern and western portions of the park a different character. I have family that lives in Colorado, but i have never been there would be nice to go and explore. I would love to visit Yellowstone to see Old Faithful and camp with my family. I would most like to visit the Grand Canyon. I think it would be breathtakingly beautiful and something you would really have to see in person to get a grasp on how vast and wonderful it is.